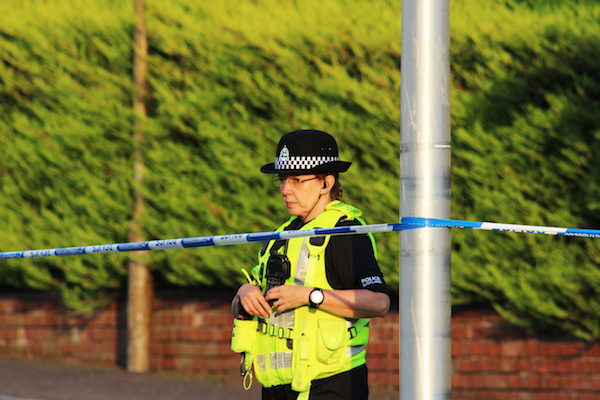 Police in West Lothian are appealing for witnesses following a suspicious incident in the Dedridge area. The incident happened around 4.15 p.m. on Friday 16th September at a play park near to Ambrose Rise. A 9-year-old girl was playing in the area when a man approached and engaged the child in conversation before attempting to put his hands on her. He then made off towards St Ninian’s School. The girl was unharmed and reported the matter to her parents, who contacted police. Officers are now urging anyone who can assist with their inquiries to come forward. The suspect is described as being of Indian/Pakistani or Bangladeshi appearance, 18-20-years-old, around 5ft 10ins tall with black hair, brown eyes and a clean-shaven complexion. He was wearing a light-grey hooded top with navy blue lining on the hood, grey skinny jeans, dirty white-coloured trainers and spoke with a Scottish accent. Detective Sergeant Graham Garvie from Livingston CID said: “At this time we are trying to establish exactly what took place during this exchange and would ask anyone who was in the area and saw anything suspicious to contact police immediately. Those with information can contact Police Scotland on 101 or alternatively, the charity Crimestoppers on 101.